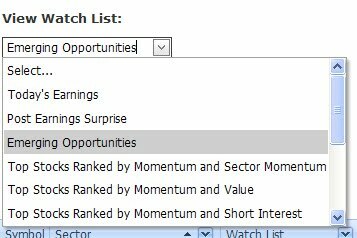 Continuing the tutorials on using Bluefin, I wanted to highlight how you can use the Emerging 50 watch list to spot possible sector moves. Emerging 50 looks at stocks in the strongest sectors that have not yet caught up with the leaders found in "Sector 50". Basically, these stocks are showing a high sector and individual stock ranking but have experienced 5-day and 30-day weakness. One way to analyze this list is to select "Emerging 50" from the Watch List drop down menu. 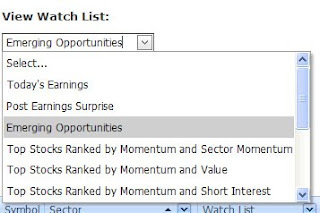 Next, click the "Watch List" column header to sort all of the stocks by Watch List name. 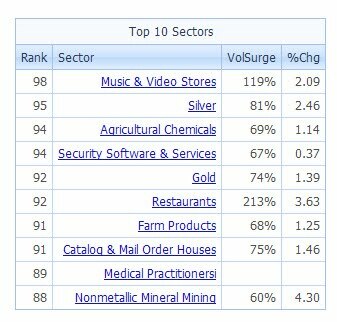 Once the list is sorted, you can compare the groups of Sectors to the Sectors found in the Top 20 Sectors grid at the top of the dashboard. Finally, scroll though the list to find sectors presenting high relative strength possibly setting up for a move in the near future. 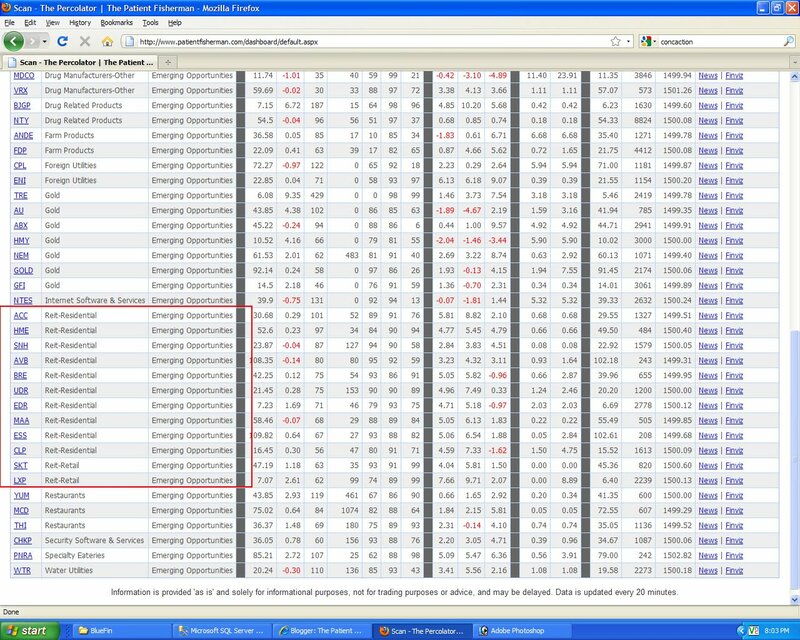 In this case, REITs are appearing in the list where they are not yet in the Top 20 Sectors. Many of these stocks had decent moves back in July and took a break in August. With any of the lists, you can then click the Excel icon by the Watch List title to export the results to Excel. From there you should able to get them into your favorite charting software for further review. EDR Education Realty Trust, Inc.
don't you mean "Emerging Opportunities looks at stocks in the strongest sectors that *** NOT *** have yet caught up "...? mmmm...I'll have to have a talk to the editorial staff about that one ;) thanks.